Camino Flats is a renovated, gated west campus apartment located just a couple blocks from Guadalupe St and UT Austin! Spacious floor plans are perfect for roommates looking to share a bedroom. There are granite counters and black appliances in the kitchen and bathrooms and wood-like vinyl plank flooring throughout, and you’ll have plenty of storage space with the walk in closets. Courtyard amenities include BBQ grills, outdoor TVs, outdoor gas fire pits, star gazing sitting area, and a couple ping pong tables. Free parking is included (there’s also gated reserved garage parking available – please contact us for details), and free gas and WiFi internet are included in the rent! Management provides a 24 hour on call emergency maintenance service, and on-site recycling is available. 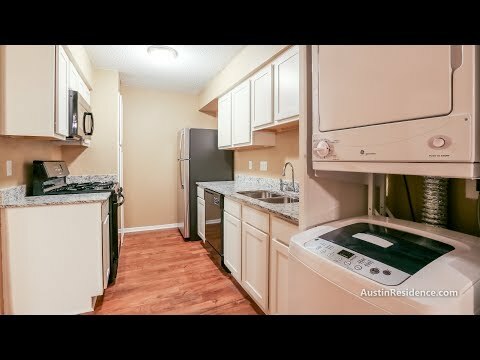 Prices vary depending on if a unit has been renovated and has washer/dryer in the unit (there's also an on-site laundry facility available for units that don't have in-unit laundry). The photos and video show a renovated 800 sq ft floor plan. Camino Flats Apartments is located in West Campus. Click here for a comprehensive guide to West Campus, including full screen photos and video tours!